Small, dense, deciduous shrub (H 0,8-1 m, W 0,7-1 m). Branches dark brown to grey, upright to open, arching. Leaves lanceolate (2-4 cm), deeply serrate, scrolled, wrinkled, dark green, underneath grey-green. Flowers in numerous inflorescence (5-8 cm), tiny, dark lilac-pink. Flowering period: June-July. 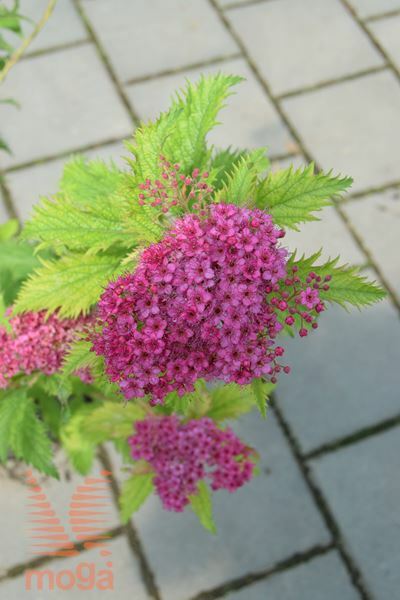 Easily withstands drought, undemanding, freely flowering shrub.